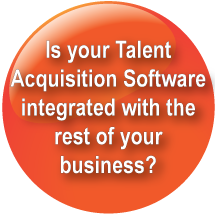 TalentFlow® is your powerful gateway to premier Talent Acquisition made simple. Design job descriptions and post to a personalized professional career site that can be fully integrated into your existing web site. Publish your positions simultaneously to multiple job sites and social media that include Brainhunter, Monster, indeed, Facebook, and many more. Sort and score resumes based on your requirements. Schedule appointments integrated with your Outlook calendar, and manage your database of applicants for future reference. And this is only the beginning . . . .
TalentFlow® Applicant Tracking System is a fully web-based, end-to-end solution that simplifies recruiting through automation. TalentFlow® pre-screens, qualifies, ranks and tracks applicants, so only qualified, interested and available candidates make it to your desktop. Using an Applicant Tracking System to manage candidates shortens the hiring cycle, frees recruiters from administrative functions and allows you to build a candidate database for future needs. For many companies, outsourcing is a regular part of recruiting. Managing the recruiting process effectively is essential to improving Return on Investment. Rather than pressure individual suppliers for marginal cost reductions, successful companies need to embrace suppliers and build sustainable relationships across the entire vendor base. The Brainhunter Vendor Management System is designed to manage your traditional staffing agencies from one consistent application. It manages the complete vendor management cycle from strategy to execution. VMS creates a marketplace where your vendors can receive job requisitions in real-time and respond online with their candidate submissions. With Brainhunter's Vendor Management System you can leverage preferred vendor relationships, lower negotiated rates, eliminate maverick spend, and manage headcount to budget - all in a controlled and measurable manner.